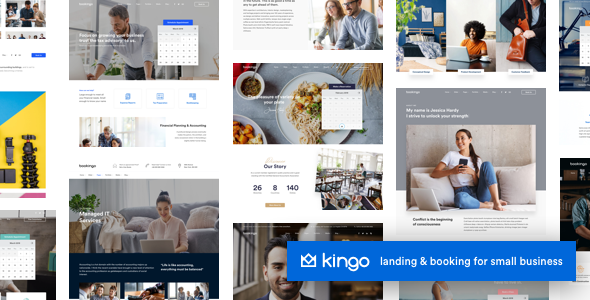 Kingo WordPress Theme is a responsive WordPress theme created especially for small businesses such as accountant, barber, lawyer, financial advisor, yoga studio, healthcare & medical, restaurant, bed & breakfast hotel, life coach, tourism etc. 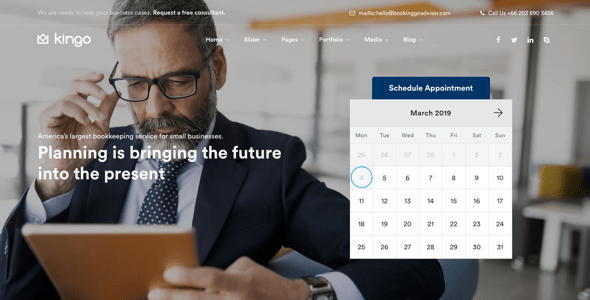 Built with booking & calendar management for small businesses. Kingo support responsive layouts built especially for small businesses website so it looks great on all devices. It also support Woocommerce for online payment with booking and various ready to use layouts for different kinds of small business and band which can be imported with one click. Uniquely show yours or your site media contents ex. 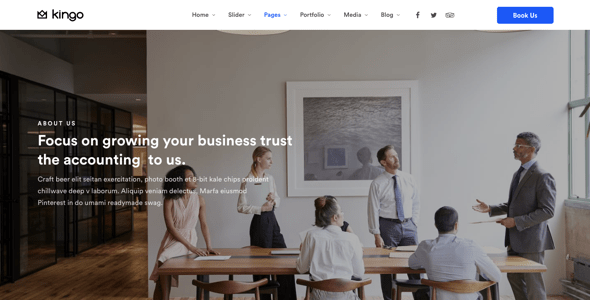 portfolio, video, images using a variety of video, gallery and slider layouts. Predesign template for pages, portfolio, video gallery and gallery etc. To let you show your business, portfolio, gallery and videos uniquely and require simple steps to create with easy to use page builder. 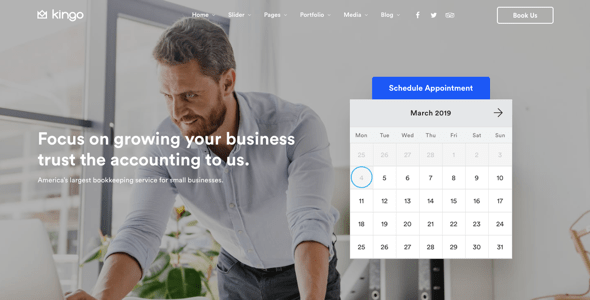 Portfolio Portfolio is the great way to show your business works. Page Page is for displaying your business information, booking calendar, services etc. on your website including text, image and video. 50+ Predefined Page Templates which you can import from Elementor page builder. 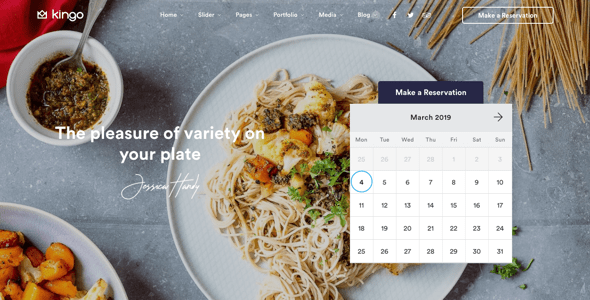 5 Traditional Menu Layouts with various menu styles and extensive customizable options so you can easily create your own menu design. Fully customise menu layout, columns and contents using Elementor Page Builder.